When we left Boscombe Pier, one of our party showed us that walking wasn’t strenuous enough for all of his pent-up energy. 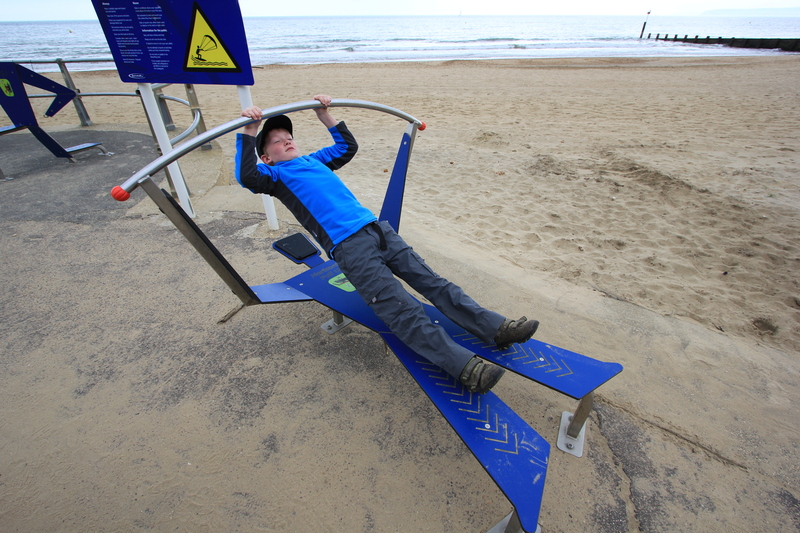 The walk from Boscombe Pier to Bournemouth Pier is just under 1½ miles. My brothers (bonkers, both of them) have swum it. 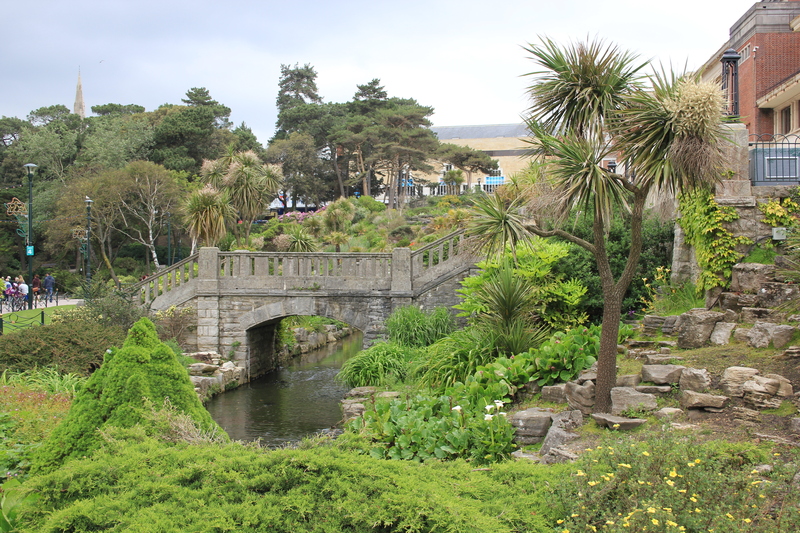 As for us, we walked over – but instead of venturing up the pier we ricocheted off it and headed into the gardens. 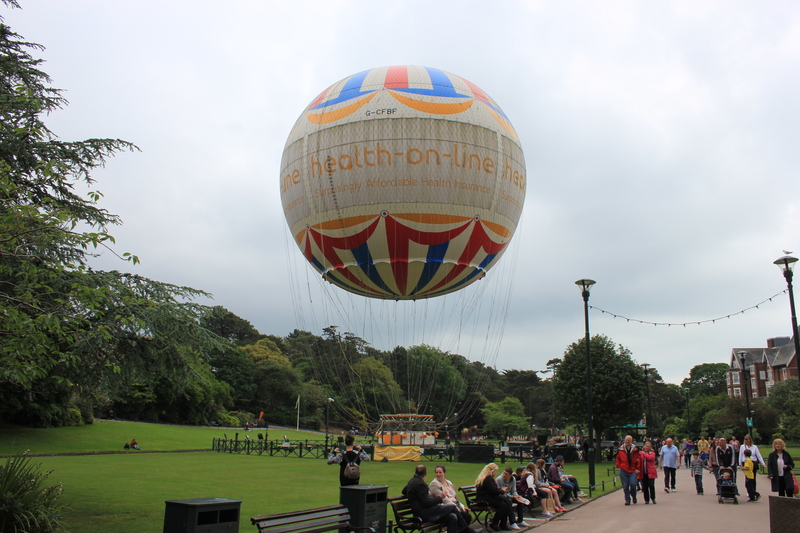 The Bournemouth Balloon (also known as the Bournemouth Eye) is a helium balloon, tethered to the Lower Gardens. 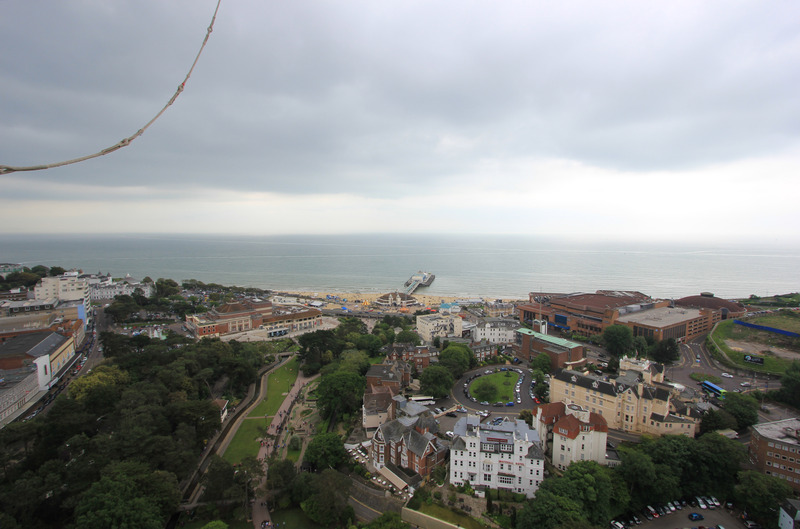 Tickets can be bought for flights to approximately 500 feet, giving panoramic views of Bournemouth and the coast. What was not to like? We bought our tickets and headed off for our flight. When we boarded we found out that the balloon basket was not at all big. 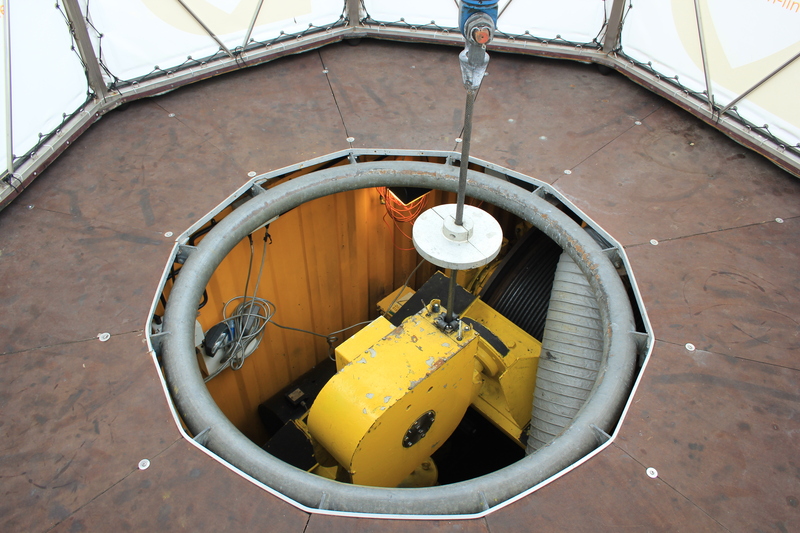 It might have looked it from a distance, but it was actually doughnut-shaped, with a hole in the middle. The tethering rope ran down through this hole, into a fixing point and winch which had been dug into the ground. The doughnut-shaped basket was narrow, to say the least. It was a cage one person wide. If you wanted to move around it, the other passengers had to move round with you! 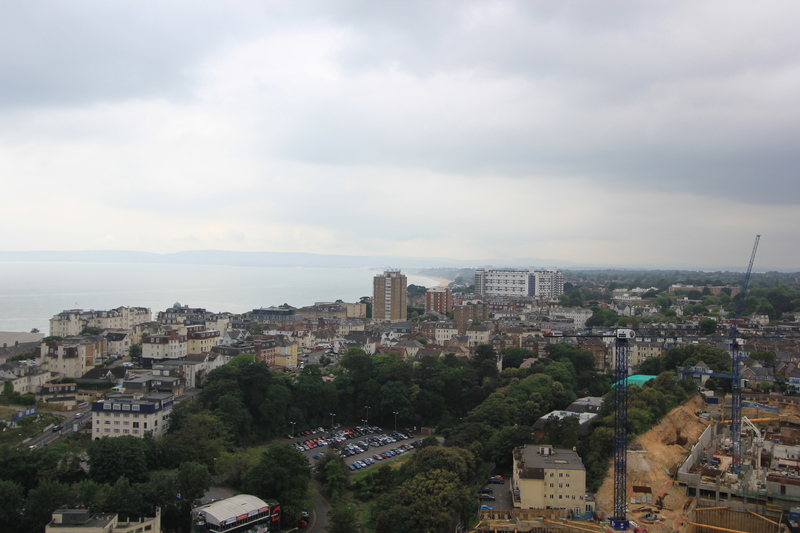 …but I confess to being a little disappointed with the other views. I couldn’t really see Poole – there was just a little bit too much in the way. Hmmm. Perhaps we would get better views of our Coastal Path from the pier? But that was for another day. We were only doing a short walk today. 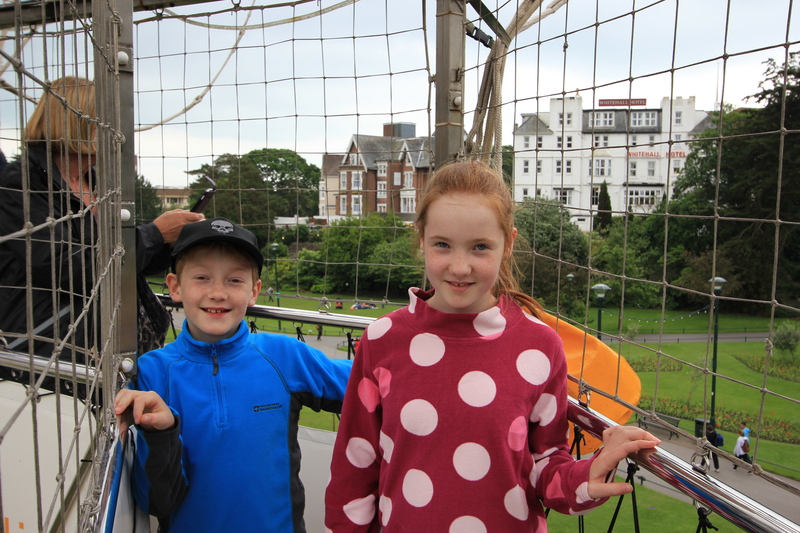 We left the balloon and caught a land train back to Boscombe. 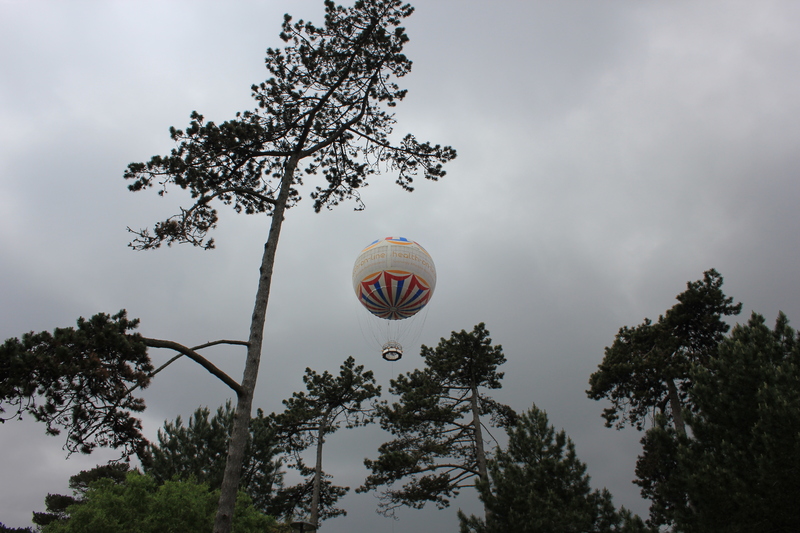 This entry was posted in Dorset and tagged balloon, Bournemouth, Bournemouth Balloon, Bournemouth Eye, coast, Dorset, travel, walking. Bookmark the permalink.